Some of the best advice that budding magicians will receive is to start by learning the fundamentals of card magic and card handling. It's good advice. Sure, you can learn individual tricks, and a couple of sleights along the way. In fact, that was the story of my own journey into card magic many years ago. But with the benefit of more experience, I've learned that there is a much better way. You'll get far more enjoyment out of your card magic, and progress far more quickly if you start by learning the proper and basic techniques of card handling, like the ability to control a card in a deck. Once you acquire skills like this, a very large world will open up for you, and you'll find that a great deal of material will be accessible to you. You also won't have to unlearn bad techniques. I sure wish that all those years ago, instead of focusing on learning a few tricks, I'd started by learning those card fundamentals. So where should you begin, and how do you learn these fundamentals? Sure, you can head to youtube, and if you look hard enough you will find some tutorials by a few skilled magicians there. But do realize that these are typically the exception, and the majority of magic instruction you'll find on youtube is by teenagers with a mediocre ability in card handling. If these are your go-to teachers - as they are for many budding magicians - you'll learn bad habits, inferior techniques, and in the long run it won't hold you in good stead. Hence I suggest that you do not rely on learning from youtube, although it can be of some help. You can do better than that! Instead, I strongly recommend that you consider investing in a good video by a good magician and teacher. You could consider a single DVD like Oz Pearlman's "Born to Perform Card Magic", or the "Crash Course in Sleight of Hand Card Tricks" by Ellusionist. They are popular choices, and cover basic card fundamentals like breaks, controls, forces, palms, cuts, and flourishes, along with half a dozen tricks. They are decent if you want to take short cuts, but they are also quite limited in their scope - there's only so much you can cover in 2 hours of material. I suggest that instead you invest in something that will give you more mileage, and will take you a little further in your journey into the world of card magic. And that's where Roberto Giobbi's "Card College 1 & 2 - Personal Instruction" video course comes in. 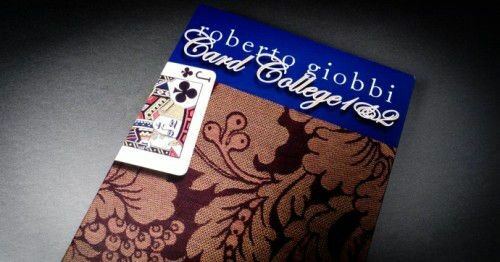 Roberto Giobbi is a well known name in the world of card magic, especially because of his much respected Card College series of books. Most experts will agree that these influential volumes are among the very best tools available to develop sound technique and to master the essentials of card magic, and you'll often see them among the very first and best books recommended on the subject. But besides being appreciated for his written work, Mr Giobbi is also well regarded for his ability in teaching magic, and has appeared in several videos made for this purpose. He's a true scholar, with an academic background that includes skills in mathematics, science, literature, and linguistics; he's also fluent in several different languages. With these remarkable credentials, it is no surprise that Roberto Giobbi's teaching materials are a real draw-card for magicians. Entitled Card College 1 & 2 - Personal Instruction: The Complete Course, this video course was originally sold as a set of 4 DVDs of nearly 8 hours. With the advance of technology and growing use of digital media, Roberto has made the good move of now making this excellent material available as a digital download via his website. One advantage of a video for learning sleights in particular is that you can see exactly how to execute a move. Especially if you are stuck with learning a particular sleight, or want some professional tips in improving it, watching a video can be helpful, by giving visual instruction in a way that a book never can provide. All of the 23 individual lessons from Giobbi's course are available separately for €4.95 each. Given that they cover different topics, these separate lessons might be a good option for someone looking to get some professional tips in mastering more technically demanding sleights like the Top Change, Classic Force, or Palm, all which need to be performed smoothly and cleanly. But you can also get excellent savings by purchasing all 23 lessons as a package for €49.95; getting the entire course will prove the best value for most people given the amount and the quality of the content included. If you buy the entire course, what you get is a digital download of 23 separate videos in mp4 format, bundled together in a zip file. Once purchased, you can immediately download them to your computer. Each video lesson is around 200 MB in size, and about 15-20 minutes in length. This makes them ideal for loading onto a device like a tablet, where they can be watched individually at your convenience. The videos has been produced by Frankie Glass and Jim Steinmeyer, with magic consultant Richard Kaufman. Unsurprisingly the production quality is excellent, with high resolution camera work, good visuals, and clear sound. Where necessary there are camera close-ups, and different angles so that the teaching of the sleights can be easily followed. 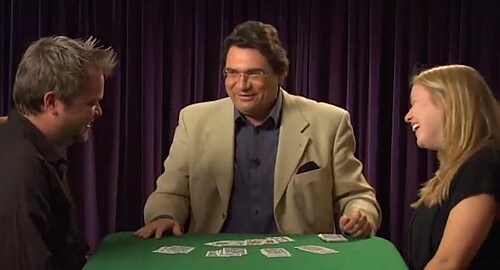 The format for each video follows the same basic pattern: the first half of the video features Giobbi carefully teaching techniques for the sleights and moves covered in that lesson. Then in the second half of the video, one or two tricks are taught, which put into practice the techniques that have been learned. The performance section for each trick features a couple of spectators, while the explanation part of the video just features Giobbi talking to the camera. To give you an idea of the techniques that are taught over the course of the 23 lessons, here are the topics for each: 1. Fundamental Techniques; 2. Overhand Shuffle; 3. False Cuts; 4. Card Controls; 5. The Force 1; 6. Riffle Shuffle; 7. The Transfer Cut; 8. The Glide; 9. The Glimpse; 10. The Key Card; 11. The Double Lift; 12. Flourishes; 13. Auxiliary Sleights; 14. The Hindu Shuffle; 15. Overhand Shuffle 2; 16. The Force 2; 17. The Palm; 18. The Spread Cull; 19. False Counts & Displays; 20. The Top Change; 21. The Crimp; 22. The Reverse; 23. False Cuts 2. People familiar with the Card College books will recognize that this arrangement is somewhat similar to how the instruction in the books is divided, although it isn't identical, and the material doesn't correspond exactly. The video isn't intended as a companion to the book as such; although you certainly could use it that way if you had the book and were struggling to visualize some of the moves taught. But this is an independent course, designed to function on its own without needing the book. The overview of the contents doesn't really do justice to the depth of material court, because each topic covers a solid range of material. For example, the Forces taught include the Ten Twenty Force, Criss-Cross Force, Cut Deeper Force, Classic Force, Hindu Force, and Riffle Force. And the section on False Counts covers all the essentials, like Elmsley Count, Jordan Count, Hamman Count, Buckle Count, and Push-Off Count. Be assured that travelling through this course will give you an excellent understanding of all the essentials. With only one or two exceptions, all the lessons teach techniques, along with one or two tricks that use the card sleights that are taught. This means that besides the fundamentals of card magic, you also get to learn some solid material to perform with, with more than two dozen tricks in total. Some very strong tricks are included, as well as some true classics of magic, like Twisting the Aces. In view of all the subtleties Giobbi builds in to his tricks, these routines are very carefully constructed, both on a technical and presentational level. The course is progressive, so it starts with simpler tricks, but as you go along you'll be using all the skills you've learned along the way. In the instances where two tricks are taught back-to-back, Giobbi usually combines them carefully into a well-designed mini-routine, and this also provides a valuable lesson in smart routining. To give you an idea of the content, here's a complete list of all the tricks that are included in the course (the numbers refer to the lesson where they are found): 2. Belchou Aces Revisited, Subconscious Poker; 3. Hat Trick; 4. The Question Is?, Think Stop; 5. Further Than That; 6. The Mind Mirror; 7. Seventh Son of a Seventh Son; 8. The Coué Test; 9. Impossible! 10. A Phenomenal Memory; 11. Rise & Swap, Vanished Without a Trace; 13. Dave’s Delight, Transpo Excelsior; 14. The Magus Card, Voilà Four Aces! 15. Aces off the Cuff; 16. X Marks the Spot; 17. Homing Card Plus; 18. The Magic Phone Number, The Time Machine; 19. Twisting the Aces; 20. The Lucky Coin; 21. Psychic Stop; 22. The Whistle. The first lesson (Fundamental Techniques) of the course is available in entirety for free as a sampler, and you'll already learn a lot of valuable tips about some basic techniques with cards from that. Unlike the other lessons, it doesn't include teaching of tricks, whereas all the other lessons include both Techniques and Tricks. But it gives a good idea of what to expect from Giobbi's teaching, so it's well worth downloading and checking out. I have seen a couple of Giobbi's videos previously, including his excellent "Favorites", which is a fine tribute to some classics from Dai Vernon, Alex Elmsley, and Frank Garcia. His patter and presentation is very low-key, conversational and friendly, and yet from his explanations it quickly becomes obvious that he's given careful attention to every single detail in the construction of each effect. Giobbi isn't performing in his native language, and yet is more than competent with English, and his articulate speech demonstrates an expansive and well-chosen vocabulary. 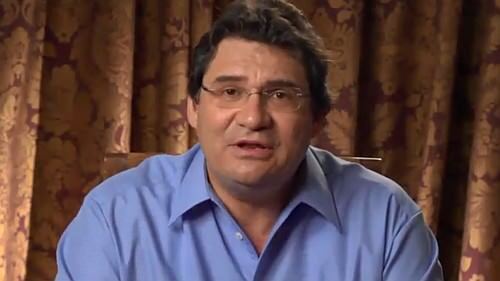 One of Giobbi's real strengths is his outstanding ability as a teacher and a scholar. Not only are his explanations clear, but he is also a real "thinker". The real value of the tricks included goes beyond the tricks themselves, due to Giobbi's insightful explanations and perspectives. These have a value that transcends the material taught. While exploring the material he deals with, there are many interesting lessons to be learned about the construction and presentation of magic. As any experienced magician knows, learning techniques is only one part of magic, and strong magic also requires careful construction, presentation, and showmanship, and these are the kinds of things that really come to the fore in the second half of each lesson. Giobbi is incredibly articulate and remarkably insightful, has deep respect for his sources and for his students, and has a real gift for analyzing and explaining the small nuances that are essential for the performance of strong magic. It's obvious that Giobbi is a clever and deep thinker who gives careful thought to every aspect of his magic. And that's the kind of approach to magic that we must all aspire to have if we want to perform strong magic. We must go beyond parroting a routine we see performed on an instructional video, and must learn to understand the foundational principles that make magic work. And to learn those kinds of lessons, we can't do much better than selecting a teacher like Roberto Giobbi, joining him as he teaches us the techniques we need, as well as how to marry these with sound construction and presentation. A teaching approach like this encourages both creativity and personalization, and doesn't just help us learn magic, but understand what makes it work. I've watched a lot of instructional magic videos over the years, but my experience with Roberto Giobbi's style quickly made many others pale in comparison. It's obvious in every way that we are learning from a passionate professional, a man devoted to the art of magic, and a true expert who has real insights to share and learn from, drawn from years of experience. Complete beginners will learn a great deal from the way he approaches magic, and can benefit from the many insights he shares along the way. Are there alternatives? Certainly, and probably one of the best is R. Paul Wilson's "Royal Road to Card Magic", which is a 5 DVD set based on The Royal Road to Card Magic by Jean Hugard and Frederick Braue, a classic text book about learning the fundamentals of card magic. In this video series, R. Paul Wilson goes systematically through the material of the book, including many of the tricks that utilize the different sleights taught. It's a very good companion to the book, and is generally regarded as superior to other videos that teach the material of the book, such as the DVDs featuring Rudy Hunter. So that's an alternative option that can be recommended positively, and it's around a similar length (around 8 hours). But I wouldn't rate the instruction given as highly as I'd regard that from Roberto Giobbi, and it also comes at a higher price point (recommended retail price is US $80). Another advantage of Giobbi's course is that it's available for digital download, which means that you can get all the material onto your personal computer, tablet, or phone, and even take it with you when you're on the move or travelling. It's also worth mentioning that Giobbi has just released a follow up video course entitled "Card Magic Masterclass" in partnership with Vanishing Inc Magic. This consists of another 8 hours of footage (5 DVDs and/or digital downloads), covering all the techniques from Card College 3, 4 & 5. So starting with the Card College 1 & 2 will prime you nicely for that video course, in the event you want to progress even further from intermediate level to advanced/expert. If the follow-up is as good as the introductory video course, I'm sure it will be excellent! 1. It is fairly inexpensive considering the amazing content, and you won't find better value or quality considering the alternatives. 2. It has you learn from an excellent and highly respected teacher, who has a real insight into how magic works; few are better at teaching card magic than Roberto Giobbi. 3. It makes you cover all the fundamentals of card magic in a systematic way, so your skill and technique with cards will sky-rocket. 4. It provides an excellent foundation for a lifetime of enjoying card magic, regardless of whether or not you progress beyond this. 5. It is based on his excellent Card College books, which are one of the all-time top recommended resources for learning card magic. 6. It has you learning tricks along the way, which helps you put into practice the sleights you're learning. Even though I've been doing card magic as an amateur for a couple of decades, I still really enjoyed working through this video course immensely, was super impressed with its quality, and learned a lot. I only wish I'd come across it at the start of my journey into magic! So if you are in that position, or who have dabbled with card magic and are looking to learn all the basics properly, look no further than this fantastic resource. 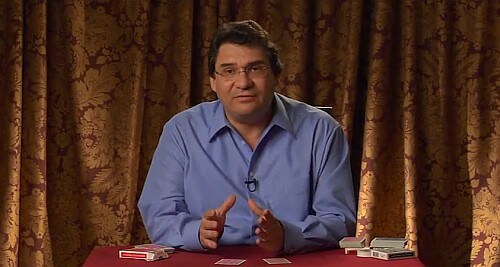 I have no doubt that your journey into card magic will be quicker and even more rewarding than mine was a couple of decades ago, when this top notch material wasn't yet available - I wish I had been able to start my adventures into card magic with this video course! This is not a course for experts, and nor is it designed only for those who want to become experts. Nor is it something for those who want a quick fix with card magic, and are satisfied with just dipping their toe into the water, and learning a single trick or two. But it is for those who want to systematically learn the basics of card magic, and progress from being a beginner to getting a solid working ability with the fundamentals of card magic, and progress to an intermediate level. If that describes you, and you want to learn from the very best, then you really can't look past Roberto Giobbi. 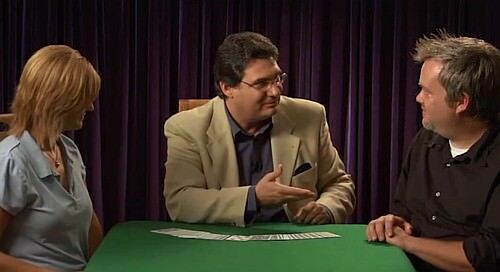 Thanks to this fine video, you have a golden opportunity to spend more than eight hours with a true master of magical instruction, and can sit at the feet of an expert, who will carefully coach you, so that your card magic grows in leaps and bounds. Is Card College 1 & 2: The Complete Course for you? This is superb all round, and highly recommended! And to beginners: I wish you a wonderful journey into the exciting world of card magic! You couldn't be in safer or better hands with Giobbi as your personal guide into this wonderful new territory! Why are you reviewing a product that is so old? I can't even remember how many years ago this came out. I should send him my most worthy memoirs, "the Lives of a Showman" for review. His review would be nearly as long as the book! Richard Kaufman wrote: Why are you reviewing a product that is so old? Because Roberto Giobbi only recently made this available for purchase as a digital video download via his website. Until now it has only been available as a DVD product, so it's available for the first time in a new format, making it attractive for people who prefer digital downloads, and to many who aren't familiar with this video in the first place. In addition, it's timely given that Giobbi has just released his Card Magic Masterclass video, which is based on Card College 3, 4, and 5 (as you know - Genii review coming up in January), so that also makes it an opportune time to take a look at the predecessor of that new set. You immediately lost me with your recommendation of the Oz Pearlman DVD. Chris Aguilar wrote: You immediately lost me with your recommendation of the Oz Pearlman DVD. I didn't recommend it. I said that it's popular, and I said that you might consider it. But what I'm recommending is Giobbi. Just the comparison alone is enough to make me question if you have any useful insight here on the products mentioned. I bit the bullet and read the whole thing and I'm not sure why you even bothered to write this long dreary piece. There doesn't seem to any useful information for potential buyers here, but rather just a load of generalities presented in a very redundant fashion. Did you purchase this product or was it provided to you for free in return for review? Chris Aguilar wrote: Did you purchase this product or was it provided to you for free in return for review? Neither. I received it as a gift from a friend who knows I love card magic. Ah, suspected this wasn't something you paid for out of pocket. Is that the case for most of your reviews? Are you still soliciting people to send you free product in exchange for review? Generally curious here. Aside from a load of vague, banal and repetitive sentiments that could be provided in less than a single paragraph (material is good, Giobbi's a good teacher, etc.) what unique point of view does your review provide? I tip my hat to you though. You obviously put in a lot of effort filling pages (so many pages) with content that is nearly free of practical value. 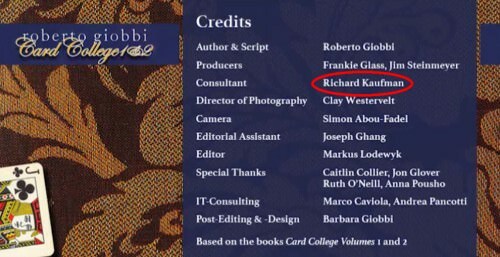 None other than the esteemed Mr Richard Kaufman! Surely that has to count for something! Richard Kaufman wrote: And your point is? Your involvement strengthens the credentials of this video set - for me, anyway. OK, I don't read these long reviews. I just check the forum most days to see what's new or interesting. But I often see this poster getting a serve for what he puts up. I think he is trying to contribute positively. Why doesn't someone tell him what you'd like to see, or give him a better format, rather than beat the guy up? This thread reminds me of the local magic club, a handful of experienced guys who like each other but can't be bothered with anyone new or a bit "green". Oh, it is just magicians being magicians. I have never found them a particularly pleasant bunch although there are a few exceptions at times. Generally speaking they are not the nicest of people. I have to say that, on average, the conjurors who I know are nicer than most people. And I often observe that public e-communication, whether conjuring-related or otherwise, often brings out the very worst in people.